Emma Clarke was born in Liverpool in 1876. A confectioner’s apprentice, she likely grew up playing football on the streets of Bootle. Aged just 19, Emma made her professional debut for the British Ladies team in 1895, in London’s Crouch End, in front of a crowd of 11,000 in a match covered by the mainstream media. Emma also had two sisters, and it is believed that they joined her on Mrs Graham’s XI tour of Scotland the following year. 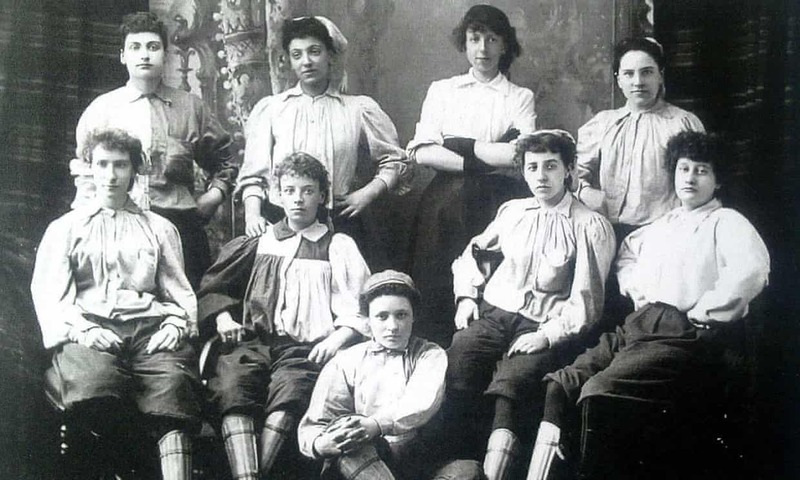 In the 1890’s interest in women playing football was high and thousands of spectators attended matches, prompting widespread press coverage. Sadly, there are no known interviews with Emma, but the coming to light of her existence – through the work of historian Stuart Gibbs – is a big moment for the game. Emma’s status as a professional footballer, in one of Britain’s earliest women’s football matches in 1895 attended by thousands of paying spectators, is hugely significant. She travelled the country, accompanied by widespread media coverage, demonstrates the profile she would have enjoyed in the 1890s. But while her male contemporaries are championed as global icons with statues, TV dramas and fame, Emma’s life slipped into obscurity. To celebrate Black History Month 2018 a stellar panel including broadcaster and author Emma Dabiri, Grenfell campaigner and Tottenham Hotspur Ladies footballer Eartha Pond, plus actor Tanya Loretta Dee and Gal-Dem deputy editor Charlie Brinkhurst-Cuff will explore what hidden histories such as Emma’s can teach us about a multiracial society in Britain. The unique event, co-curated by leadership consultant and activist Michelle Moore and sports writer and campaigner Anna Kessel MBE, is funded by the Fare Network and is part of the #FootballPeople action weeks – a global campaign to tackle discrimination and celebrate diversity in football. The event is supported and hosted by the Royal Society of Arts, The Runnymede Trust, Women in Football and the Blue Plaque Rebellion. If you missed the event then you can now watch it below.